Joanne Pence is an award-winning, USA Today best-selling author of the Angie Amalfi and Rebecca Mayfield mysteries as well as historical fiction, contemporary romance, romantic suspense, a fantasy, and a supernatural suspense. Her novels present a variety of times, places, and reading experiences from mysterious to thrilling, emotional to lightly humorous, as well as powerful tales of times long past. Joanne was born and raised in San Francisco, and now makes her home in the foothills just north of Boise, Idaho. She had been president of the Boise chapter of Sisters in Crime, board member of the Popular Fiction Association of Idaho, founding member and current board member of the Idaho Writers Guild, and has held offices in the California Writers Club. A graduate of U.C. Berkeley with a master's degree in journalism, Joanne has written for magazines, worked for the federal government, and taught school in Japan. 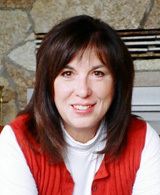 Her books have won or been nominated for a number of high honors, including the Willa Cather Literary Award for Historical Fiction; North American Book Award for Mystery; Idaho Top Fiction Award; The Golden Quill, RWA's Rita and Golden Heart Awards, Daphne du Maurier Award, Independent Bookseller's Golden Scroll, and Romantic Times Career Achievement Award and Best Amateur Sleuth Award.